SHE Serves — SHE Wins Inc. Since our founding in April 2015, SHE Wins has sought to make the world our scholars' classroom. Checkout some highlights of SHE Wins service and social action below. 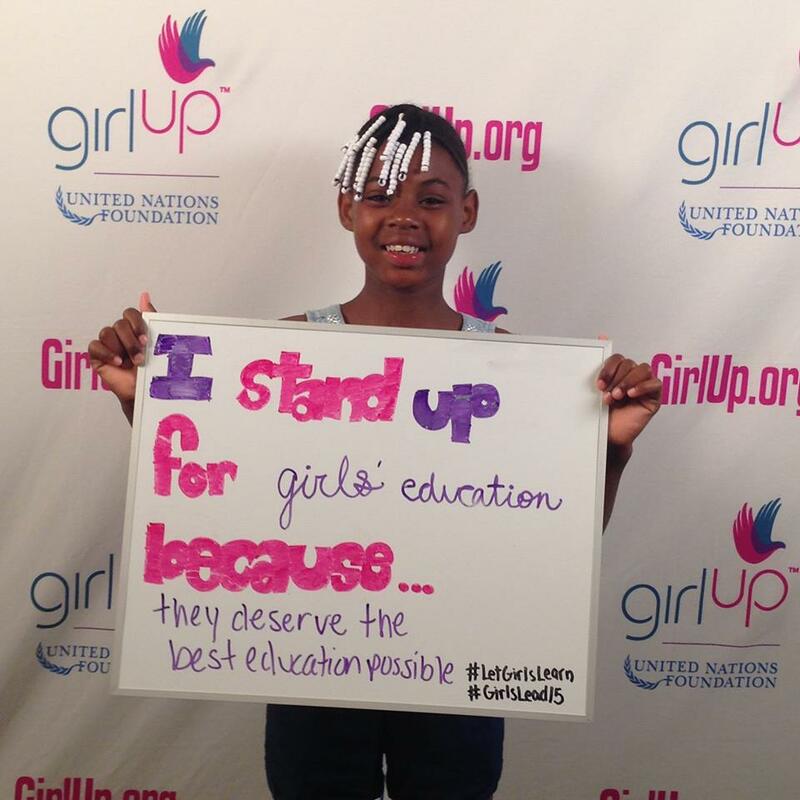 For two years, SHE Wins has partnered with the United Nations Girl Up Foundation for girls to run a Girl Up Club and attend the Annual Girl Up Leadership Summit. There SHE Wins Scholars join over 200 girls from around the world to learn about and advocate for legislation that improves the outcomes of girls worldwide. As volunteers for Newark's Celebrity Reading Program, SHE Wins Scholars have helped promote early-childhood literacy in Newark by giving out free books and reading to Newark pre-school and elementary school students. SHE Wins Scholars spoke before Newark's City Hall to advocate for anti-youth smoking policies, the impact of violence in their community, and how youth-based service in the community could help find solutions to community issues. Copyright © *2016* *SHE Wins Inc.*, All rights reserved.